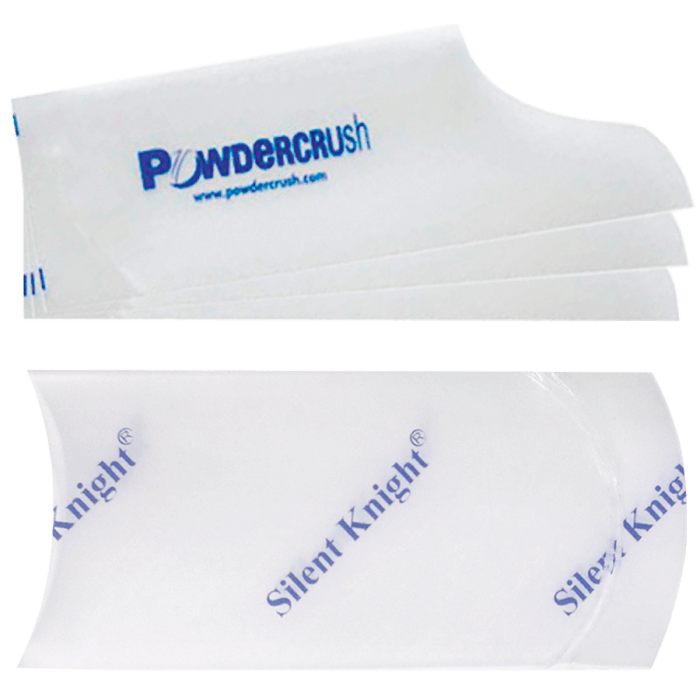 When using any of our crushers, it is important to use a crushing pouch. These crushing pouches can hold a large number of tablets at once, avoiding the need to crush individual medications. They are also made of tough, puncture proof plastic to avoid any cross contamination between patients due to dust residue on the crushing units. These bags prevent the need for cleaning the crusher between patients which saves nurses a lot of time and keeps the patients safe from medication residue. Manrex offers two styles of crushing bags for use with all of our crushers. The Links Bag from the makers of the Silent Knight has a rounded bottom to their pouch to minimize any chance of powder residue at the bottom of the bag and is made of durable plastic to avoid tears when crushing. The PowderPouch from Manrex features a curved bottom but also a unique “pouch spout” feature that makes adding the crushed medication to food or liquid less messy. In either case you can be assured of a simple to use, simple to dispense from medication crushing pouch that makes crushing medications quick and easy.